Are biosimilars key to solving NHS access concerns? In light of continued austerity gripping the NHS, it was uplifting to hear in July that the health service had generated millions in savings by switching to off-brand medications. Biosimilars formed a key part of this strategy, as Matt Fellows discovers. The issue of drug pricing is an impassioned topic that, by its very nature, is impossible to divorce from issues of accessibility, whether that is concerned with payment through a nationalised health service, an insurer, or out of the patient’s own pocket. As a result, cost-savings are a constant theme in healthcare and rarely fade from ongoing conversations involving the pharmaceutical and life sciences industries, particularly in the case of the UK’s NHS. Besieged by cuts and increasingly buckling under the weight of an ageing population, the beloved service is constantly the victim of scrutiny and unrealistic expectations, and as such conversations around operational efficiency and how to trim expenses are never out of earshot. Dr Jeremy Marlow, Executive Director of Operational Productivity at NHS Improvement, was quoted in the report as saying: “As more people are diagnosed with long term conditions, such as arthritis and cancer, we must ensure the NHS uses its resources as efficiently as possible to treat and care for them. “By delivering £324 million in savings in a single year from switching to better value but equally effective and safe medicines, the NHS has been able to help more patients manage their conditions. 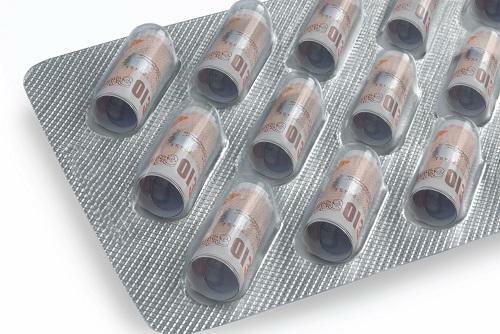 To better understand how these savings have been generated, [Pharmafocus] turned to Celltrion Healthcare, a company with its own biosimilar versions of rheumatoid arthritis drugs infliximab and rituximab – known by their branded names as Janssen’s Remicade and Genentech’s MabThera, respectively – which recently called for the NHS to increase the use of biosimilar medicines in treatment of the condition, and earlier in the disease pathway. HoUng Kim, Head of Strategy and Operations Division at Celltrion, explained that there are two principle factors to the equation, which together feed into one another. However, while generics and biosimilars may be being lauded in the UK for their cost-cutting potential – and rightfully so – the latter in particular still face significant hurdles before we see levels of adoption reach their deserved heights, especially in the treatment of rheumatoid arthritis. NICE, the gatekeeper that judges whether an EU-approved therapy ticks all the boxes for use on the NHS in England and Wales, has strict guidelines on the initialisation of treatment with biologics. In the case of rheumatoid arthritis, it has two conditions: first, a patient’s severity of the disease must be above a threshold of 5.1 on the Disease Activity Score (DAS-28), while the second condition is the number of failures of chemical disease-modifying antirheumatic drugs (DMARDs) in a patient before initiating treatment with a biosimilar; the institute itself recommends at least two prior failures. Celltrion itself pointed out in September that access to biologics in the UK has fallen behind the rest of Europe, citing recent findings published in the [Annals of Rheumatic Diseases] which gives a number of factors responsible for the discrepancy, including per capita gross domestic product (GDP), affordability of the medicines, and reimbursement policies. Kim continued: “The reimbursement guidelines vary country by country, and because of the prerequisite conditions to initiate biologic treatment amongst the 36 European countries, around 40% of patients lose the opportunity to get proper treatment. Focusing on rheumatoid arthritis, usually the conditions are disease duration, severity and the number of failures of DMARDS before initiating biologic treatment; because of those stringent conditions, the patient who could achieve a better clinical outcome loses their opportunity. “The technical appraisal 375 noted that their current decision was based on cost-effectiveness. NICE acknowledges there would be clinical benefit in the moderate cases, but because of their cost-effectiveness calculation, they do not support the use of biologics in these cases. Generics were also a key component of the NHS’ cost-saving strategy; compared to these therapy versions, biologics actually come in as much more resource-intensive to produce in spite of their clear benefits, so this is another area where challenges remain. According to the guidelines of the EMA or other agencies around the world, in order to have a biosimilar therapy approved for use, like any treatment you must first provide appropriate data. But that’s not the only key element of the equation. This is a key point, and Kim expanded on just how important education and communication of the nature and surrounding issues of biosimilars can be to encourage greater uptake, and in turn drive down prices and improve accessibility. “You can compare our first biosimilar and second biosimilar to provide a kind of insight into the speed of the uptake,” he explained. “In the first case of the monoclonal antibody biosimilar infliximab, University College London reported that it took around 18 months to replace 90% of the originator product, and in the second biosimilar, rituximab, it took only two to three months to completely replace the originator. The difference can be explained because in the first case it was new to them and they needed some time to acquire the additional data that they required before they decided to use it; it also takes some time to reach a consensus between the different stakeholders. Speaking of these issues, while communication and education are absolutely crucial in encouraging greater adoption of biosimilars and all the benefits that come with it, as Dr Kim says, not everyone has been playing ball. In August, Pfizer launched a citizen petition with the FDA, leveraging accusations against a number of big-name pharma firms, including Janssen, Amgen and Genentech, for their conduct when communicating issues surrounding the use of biosimilars. The document read: “The introduction of biosimilars in the US was intended to increase competition by providing additional safe and effective biologic treatment options, thereby reducing healthcare costs. This intent will be thwarted if reference product sponsors provide patients and healthcare professionals with incomplete or misleading information in promotional materials. According to the Public Health Service Act, a biosimilar is “highly similar to and has no clinically meaningful differences” from the reference product from which it is replicated, but according to Pfizer, this definition has not been heeded by some of its rivals, and the company was not afraid of pointing out some examples. “The textual summary comparing biosimilars and generics on Genentech’s “Examine Biosimilars” website explains that “FDA requires a biosimilar to be highly similar, but not identical to the [reference product]”, but fails to state that an approved biosimilar must have no clinically meaningful differences from the reference product,” it noted. But it didn’t stop there. “A recent tweet by Amgen Biosimilars also contravenes the statutory standard that a biosimilar is highly similar to and has no clinically meaningful differences from the reference product: “Biologics or biosimilars? It’s not just apples to apples. While #biosimilars may be highly similar to their #biologic reference products, there’s still a chance that patients may react differently. See what you’re missing without the suffix: http://bit.ly/2G2zGTa. “Janssen’s materials also caution, “you may be asked to switch to a biosimilar that works in a similar way to Remicade.” The BPCIA explicitly states that a biosimilar is highly similar to the reference product but has the same mechanism of action, meaning that a biosimilar works in the same way as the reference product. Janssen’s materials confuse this distinction by stating that infliximab biosimilars work in a “similar” way to Remicade. These are weighty accusations, but of course it is in the interests of a major industry player to discredit its contemporaries in the interest of driving uptake of its own products. But what has been Celltrion’s experience in this regard? As it turns out, Kim notes, it’s had similar experiences, so it’s not a rare occurrence in the industry. “Regarding those kind of scare tactics, when we launched the Infliximab biosimilar we were told that we only had anti-drug antibody data with the rheumatoid arthritis population which need to use methotrexate, and methotrexate is known to reduce the incidence of anti-drug antibodies,” he remarked. “So it was claimed that our data was not sufficient considering the risk factors related with anti-drug antibodies throughout the indications, but the fact is that we conducted the anti-drug antibody test with monotherapy in the ankylosing spondylitis population, so these distortions or claims not based on fact cause some concerns among patients and physicians. “Another approach is the misleading labelling of reverse-switched cases as non-responders. Originator users could switch to biosimilars and then for some reason they could reverse-switch to the originator again, and they are then considered as non-responders when they calculate retention rates, which leads to worse rates being reported in the switched group. But the fact is that they consistently use infliximab and they enjoy the clinical benefit throughout treatment; in other words, they are not non-responders but this distorted approach is intentionally applied to exaggerate the difference between the maintenance group and the switched group in terms of retention rates. The US is clearly a very different beast compared to its neighbours across the Atlantic, but it is interesting to note how the challenges it faces are not too dissimilar to those seen in Europe and in the UK in particular. But, according to Kim, the wheels are in motion and things are looking promising with regard to reaching a solution for patients in the near future.